According to reports, Liverpool made contact with Paris Saint-Germain in the last 48 hours about signing Adrien Rabiot before the deadline day. Adrien Rabiot joined PSG academy in 2010 and made his professional debut for the club in 2012. He played _ games for the Les Parisiens thus far, scoring _ goals. However, his current contract with the club will expire at the end of the current season and he is looking for a move away from the club. PSG want to offload Rabiot this month rather than losing the midfielder for nothing in the summer. On the other hand, Liverpool are currently at the top of the Premier League table, five points clear of Manchester City. The Reds are looking to strengthen their squad in order to win their first league title since 1990. According to reports, Liverpool are interested in signing Adrien Rabiot from Paris St. Germain before the deadline day. The report reckons PSG are keen to cash in on the midfielder before losing him on a free transfer in the summer with Liverpool making a late inquiry for his services. Clubs must conclude their transfer business by 11 pm tonight and Liverpool could yet make a surprise signing. Rabiot is being tracked by a host of clubs, including Barcelona and Tottenham, after making it clear that he won't be signing a new deal at PSG. 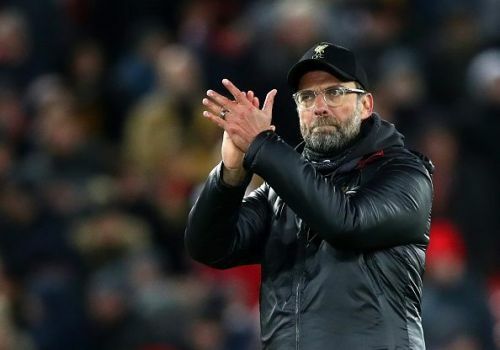 Jurgen Klopp stated that he is happy with the squad at his disposal and is very unlikely to make signings during the January transfer window. After a frustrating draw with Leicester City last night, the Reds will be looking forward to getting back into the winning ways when they face West Ham United on February 5. On the other hand, PSG are at the top of the Ligue 1 table and will play Lyon at the Lyon Olympic Stadium next.